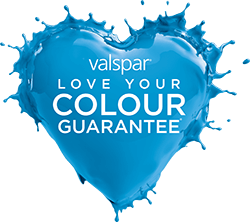 Valspar Paint UK | Any Paint Colour, No Compromise. Choose from our 2,000 pre-selected colours in store or create a brand new colour that's unique to you. 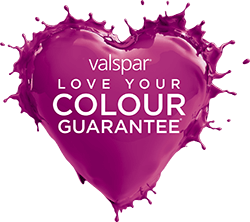 With Europe's largest range of 2,000 pre-selected colours, Valspar have countless combinations just waiting to be mixed for you in store. And if you really have an eye for detail, our state-of-the-art colour matching technology can match over 2.2 million colours, all from a sample as small as a sugar cube. Perfect if you're creating a room scheme around that one essential accessory. Why compromise when you can have the perfect colour, in the perfect finish, and a whole range of interior and exterior paints? You can even name your colour and save it on our system in case you ever need any more. Effortless, even coverage and a long-lasting finish, whether you're decorating inside or out. You can trust us to help you make your house a home, as we’ve been in the paint and coatings business for over 200 years, helping to colour and protect homes, inside and out.